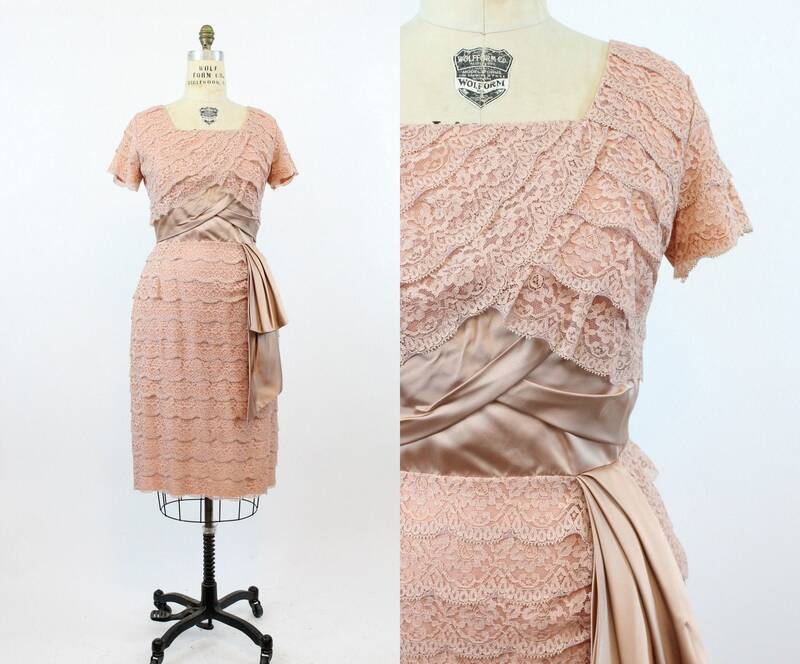 Captivating 1950's dress! Done in a peachy pink lace tiered over a coral satin. Deep square neckline, shorter cap sleeves, with a wide satin waist band. The satin waist band has two pieces overlapping and creating a V facing up to the bodice, flattering the waist. There is also an attached layered hip sash. Back metal zip, dress is lined in satin.